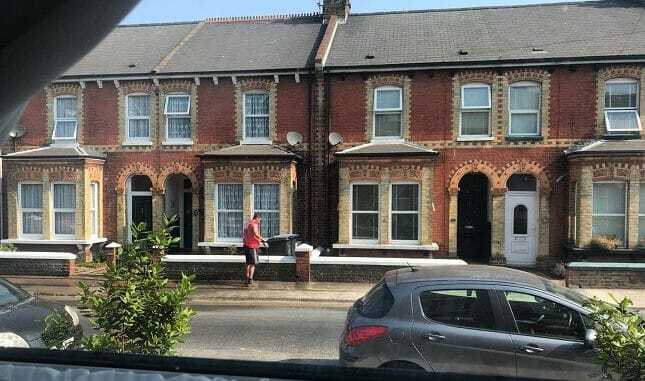 Virgin Media has pledged to clean a street in Margate after residents complained that workmen had left behind “mess, debris and soot” – but one householder was told the firm will only be able to do it if there are no cars parked there. 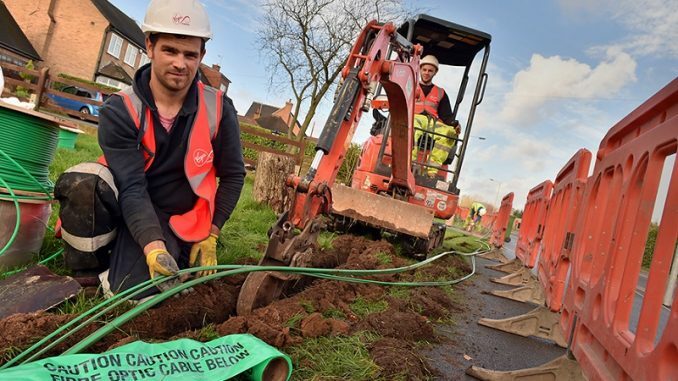 Work to lay ultrafast broadband cables took place in Beatrice Road last month but two previous attempts to clean up the debris have been thwarted, says Virgin Media, due to the volume of parked cars. It means only one side of the street was cleared. In order to clean the other side Virgin Media says the vehicles need to be moved. Resident James Benjafield says he has been emailing constantly to try and get the mess cleaned up. He said: “The installation of cables in Thanet has caused a lot of distress and disturbance to local residents. “Virgin Media installed their cables down my street over two weeks ago, leaving behind mess/debris/soot, which people naturally walked into their homes. “No communication was made to the residents of the road to let them know if there would be an aftercare team who would clear this up. A few days passed and I contacted Virgin Media to ask what steps would be taken and after a few days they agreed to sending a street cleaner and jet wash.
“When coming home after work it appeared they only cleaned one side of the street, leaving the other. I got in touch with the team who ‘looked into it’, a day later telling me that the cars on the other side were in the way. In order for it to be successful they needed all the cars removed and said they couldn’t clean it unless the street was clear of vehicles. James says one side of the street were then sent letters about a new attempt at the clean up but, when he requested residents on the other side were also communicated with, he was told it would ‘come down to cost of stamps’. He has now written his own letters to post into the homes to inform people of Virgin Media’s promise to clean the street tomorrow (August 8) at 8am. A Virgin Media spokesperson said: “Virgin Media is currently expanding its network in Margate to bring ultrafast broadband to more homes and businesses across the area. We always try to minimise disruption to the local community and work closely with our contractors to ensure works are carried out with professionalism and to the highest standards. The spokesman said the team will be there at 8am but if the work can’t be carried out because of vehicle blocking access to the area efforts will be made to talk to residents to agree a time when the road could be conveniently cleared. They added that the Virgin Media crew was not allowed to put out signs for no parking so it needed to be co-ordinated with the community. The work is part of Virgin Media’s Project Lightning network expansion. In April last year, the company announced that up to 108,000 properties in Kent will be connected to Virgin Media’s ultrafast network. The average broadband speed in Margate is just 15Mbps, below the Kent average of 18Mbps. People who want Virgin Media’s internet services are promised an ultrafast broadband with entry level download speeds of 100Mbps, and reaching up to 300Mbps for residents and 350Mbps for small businesses. This is 20 times faster than average speeds in Margate. I don’t think that anyone asked for your opinion on them personally. I am one of many who are glad that Virgin is being installed. If we had to wait for a personal invitation, there wouldn’t be any comment threads.